Remioromen is a Japanese rock band consisting of Fujimaki Ryouta (Guitar, Vocal), Maeda Keisuke (Bass), and Jinguuji Osamu (Drums). Remioromen was formed in December 2000 with their current three person line up. They say that the name of the band has no real significance and was instead the result of wordplay. 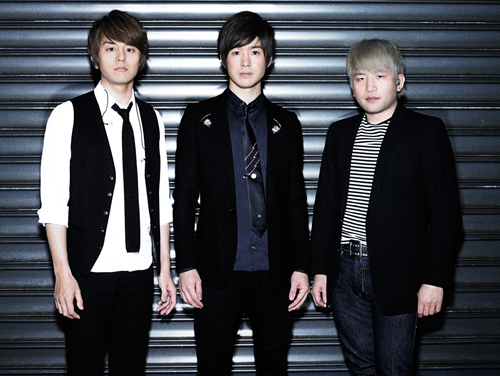 They are signed to Speedstar Records, and their major debut was the single Denwa on August 20, 2003. Their song ‘Konayuki’ was played in the popular jdorama Ichi Rittoru no Namida (One Litre of Tears). Their discography includes four albums, Asagao (19 November 2003), ether (09 March 2005), HORIZON (17 May 2006) and Kaze no Chroma (30 October 2008). Their singles include Denwa (20 August 2003), Sangatsu Kokonoka 3月9日 (09 March 2004), Acacia (19 May 2004), Moratorium (12 January 2005), Minami kaze (09 February 2005), Ao no sekai (12 October 2005), Konayuki (16 November 2005), Taiyou no Shita (01 March 2006), Akanezora (14 March 2007), Hotaru/RUN (09 May 2007), Wonderful and Beautiful (12 December 2007) and Motto Tooku e (30th July 2008). On 1 February 2012, an official announcement was made on their website, stating the disbanding of the group. No explanations were given for the disbanding.